is currently expanding addition to their manufacturing facility near Hamburg. This year greater than 700 ESA were booked into production leading into 4th quarter and the company continues to grow sales by 20% annually. The increased manufacture space will further support growth projected for years to come. 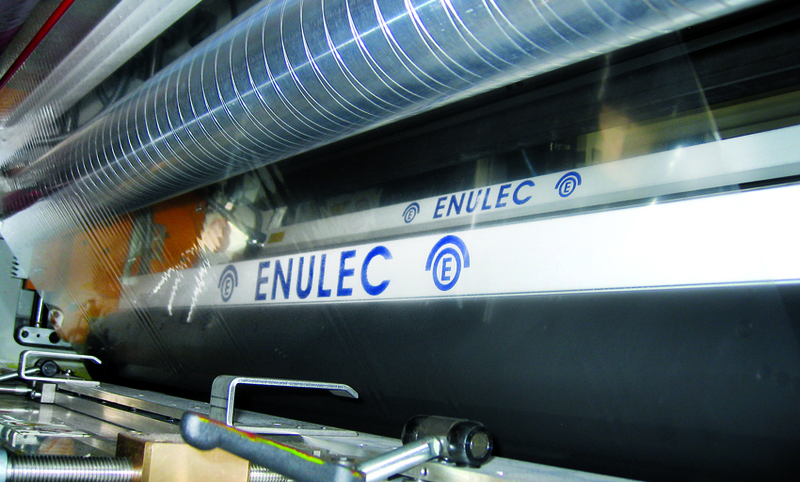 New history was made when ENULEC became the only ESA manufacture to fully integrate their ESA1000 systems into all major European press manufactures new gravure presses. All safety circuits specific to ENULEC can be requested of your OEM for your new press to specifically add the ENULEC ESA system. In addition, communication protocols are available to the OEM main control panels while certain data driven operations are also integrating these protocols into their daily data stream to better service the customers forward in the chain.